Only 34 more days until the MLB’s Opening Day comes. 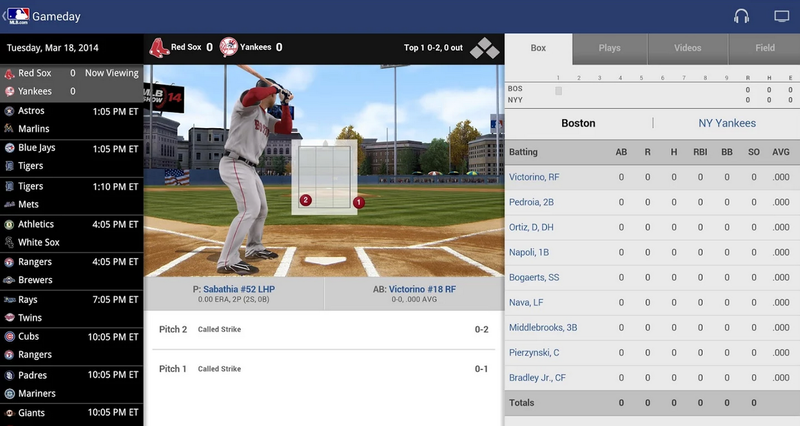 Although if you are an owner of the MLB.com Android application, you probably knew that. Either way, you will be excited to hear that the MLB.com app recieved an update today with even more upgrades and changes promised to come in the near future. Today’s changelog may not be that long, but the two additions are certainly a steal. The first allows users to select more than one favorite team. While this might sound blasphemous to some baseball fans, it is a welcome change for others. The other addition is push notifications to your device for every scoring play of whichever team you choose, and it can be more than one. These are the changes to the application that are going live today, but there is a list of 10 more additions that MLB.com hopes to add before Opening Day comes around. If you are a MLB.TV Premium subscriber this app comes free of charge, but if you haven’t paid yet you can sign up for the whole 2014 season for just $19.99. Not a bad deal if you plan on using this app to watch your favorite team throughout the season. The update is rolling out to users now, so check Google Play to see if you can pull it down.